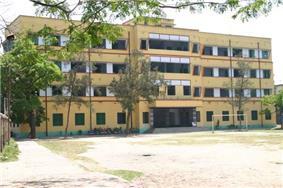 Vivekananda Institution is a high school in West Bengal, India. It is located in the Howrah district of West Bengal. The school was established in 1922 (the first school named after the great Indian sage Swami Vivekananda) and is inspired by his philosophy "Education is the manifestation of the perfection already in man". 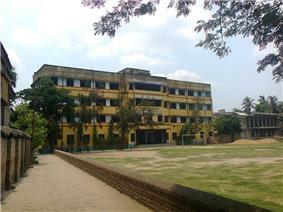 The school is a leading performer in the secondary and higher secondary exams of the state of West Bengal. 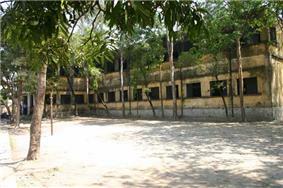 The school is located at 75 & 77 Swami Vivekananda Road, Santragachhi, Howrah 711104, India. The school is affiliated to WBBSE (West Bengal Board of Secondary Education) for 10th Exam and WBCHSE (West Bengal Council of Higher Secondary Education) for 12th exam. Howrah Vivekananda Institution, a glowing name in the annals of education in West Bengal, set out its journey long eighty nine years back, is still moving towards making man in the true sense of the term. The institution named of the famous Hindu monk Swami Vivekananda still keeps up its old heritage in the academic firmament. In 1922 a band of dedicated youths, all disciples of Swami Shivanandaji of Belur Math with a cherished dream contributing to the making of the nation by educating the tender minded sons of the soil, has been still going on steadily with its lofty mission amongst all social and political turmoil. The year 1928 is a landmark in the annals of Howrah Vivekananda Institution for this year the school was graced by the presence of Swami Shivananda. In the year 1956 the new Main Building of the institution was inaugurated by the then Hon’ble Governor of West Bengal Dr. Harendranath Mukhopadhaya . Great personalities like Sarat Chandra Chattopadhyay, Acharya P. C. Roy, Scientist Satyen Bose, Poet Kalidas Roy, Writer Achintya Kumar Sengupta, Chuni Goswami, P. K. Banerjee, Sailen Manna, Rabindranath Tagore sent their messages, Jyotindra Mohan Bagchi etc. made their presence in this institution in different occasion. After the establishment of the institution in different years the post of President of the Managing Committee was occupied by celebrated personalities like Barrister S. N. Banerjee, B. C. Ghosh, Swami Nirbedananda, Swami Gambhirananda, Swami Bhuteshananda, Swami Biswashrayananda, Swami Hiranmayananda, Swami Smaranananda, Swami Goutamananda, Swami Shivamayananda of Ramakrishna Math & Ramakrishna Mission. 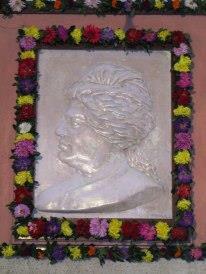 Mrigendranath Mukhopadhyay was one of the founder this Institution. Two Ex-Headmasters namely Sudhangshu Sekhar Bhattacharya, Sri Brojamohan Majumder, were honoured by Govt. of India when they received the National Award for Teachers. The institution can boast of roll strength of about three thousand students from class I to XII. The teaching and non-teaching staff range from 70 to 75. The ex-students of our institution have risen to eminence in different fields of activities at home and abroad. Below is a list of a select few: Dr. Bholanath Chakraborty, Dr. Dinobandhu Banerjee, Professor Phatik Chattopadhyay, Scientist Dr. Rabindranath Ghosh, Public Prosecutor Prafulla Kumar Roy, Former Vice-Chancellor of Viswabharati University Dr. Nemaisadhan Basu, Ramtanu Lahiri Professor of Calcutta University Sankari Prosad Basu, Writer Sankar, Professor of Kanpur I.I.T. Dr. Debicharan Khan, Durgacharan Bhattacharya, Sub-editor of Ananda Bazar Patrika Sisir Kar, Kamal Kumar Mitra Professor of Economics, Dr. Rajendramohan Chakraborty (B.U. ), Professor Nityananda Bhagat (Govt. Art College), Professor Arabinda Ghosh (J.U. ), Football Player Ashok Chatterjee & Jahar Das,International Table Tennis player Anirban Nandy,National table tennis player and international table tennis coach and professor in govt.college for physical education, banipur Dr.Somshankar Chatterjee. The Head Master is Sobhan Kumar Bera. Two of the earlier head masters Sudhangshu Bhattacharya and Brojomohon Majumder of Vivekananda Institution won Government awards given directly by the President of India for their exceptional services. 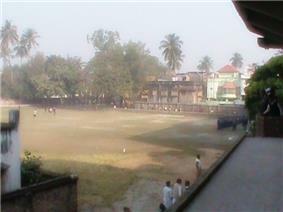 ^ a b Howrah Vivekananda Institution. Vivekanandainstitution.com (2010-01-30). Retrieved on 2011-01-16.